White water dispenser. 2 taps: hot and cold. Automatic temperature control. Hot water temperature: 85-95 C degrees. 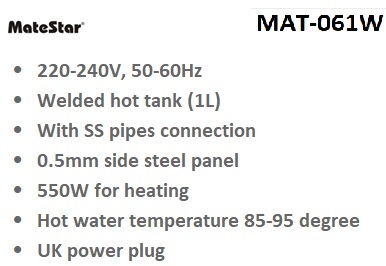 550W heating power. Stainless steel water tank. 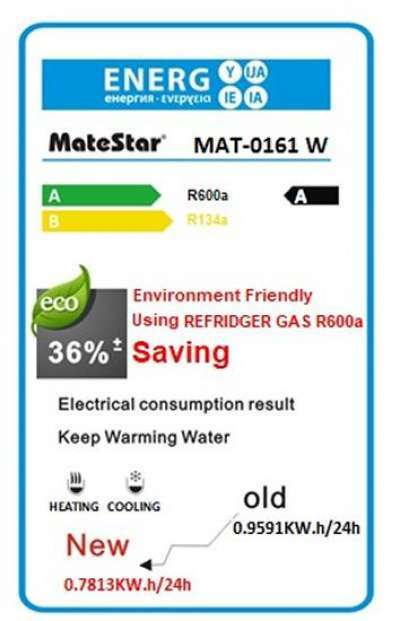 R600a refrigerator gas. Dimensions: 300 x 292 x 856 mm. Energy efficiency: A.